Not knowing where you'll sleep or end up at night is highly rewarding. Traveling by less conventional means takes you to wonderful places where you learn that the unknown is a good thing. Following the customs of the locals - sleeping where they sleep, eating what they eat, going where they go, dancing how they dance - shows a level of respect they are often surprised by, and opens the door to realms far beyond expectation. I took off travelling in search of the wonders of the world, the feeling of freedom and to taste the sweet nectar of adventure. I didnt have a route planned then, and still dont. It doesnt matter where you go, just that you go where your heart and circumstance leads. Believe you can do anything, because you can. Most obstacles are mental, so forget excuses. There are a thousand tantalizing possibilities that this world wants to offer each day, it's just a matter of opening up and giving the opportunity for the magic to flourish. My name is Alyssa, I started this trip in 2010 at 22 after having finished a B.Sc. in Canada. I've worked a variety of jobs - mostly hospitality, tourism, and degree related placements - but none of it came close to amounting to a career, or lead to a place that I truly felt could be 'home'. Somehow I learned young that it was okay to chase dreams, so that's what I do. It had always been a dream, it was only the means that lacked. Then during the summer before my final semester at university, while working in a research lab at a hospital in Toronto, I came across an article about Kinga Freespirit. My mind was blown, I didn't even know that hitchhiking was a viable means of transportation in the 21st century, let alone hitchhiking the world. A few more weeks of coming across sites like Digihitch and Couchsurfing, and I had a new plan for my life. Quit the hospital job so I could test the theory, and hitched halfway across Canada with no glitches, making it faster than the bus and meeting amazing people. Went back to university to finish of my final semester, booked the cheapest plane ticket across the Atlantic I could find, and the rest is history. From the story above, you can see that if it wasn't for other travellers who took the time to record their experiences, I might never have taken the plunge myself. I hope I might someday be able to pass on a little of that inspiration. Don't you feel you'll get left behind in the rat race? No. The more you travel, the more you realize you don't need to be chasing cheese in the first place. Worked and saved since I was young, didn't buy a lot of fancy things, and life on the road isn't expensive if you are not high maintenance. There are places in Africa where whole families get by on a dollar a day (or less), so as far as I'm concerned I should be able to too. Visas are the biggest expense, but sleeping in a tent is free, and so is hitchhiking and having non-tourist fun (the good kind). What's the most dangerous thing that has happened to you? This is definitely the most asked question. Unfortunately I have no nail-biting near death experiences to share. I have never seriously felt myself in danger. Yes, it takes being assertive, and yes, I have probably been lucky. There are inevitably people who themselves have had bad experiences or have heard too many horror stories (the kind that are the most interesting to talk about) and tell me I am crazy for going anywhere in Africa alone etc etc, but I travelled there 20 months without anything close to an incident and as far as I'm concerned direct experience speaks louder than other people's tales. The world is not as dangerous as CNN would have you believe. Don't have a plan. Every day ideas for new adventures present themselves, and as long as I am happy and surviving on the road I don't see any reason to stop. Of course, things change and who knows what the future brings. That's why it's best to be open to anything. Longest wait : Full day trying to get to Inuvik and Tuktiyuktuk, NWT along ice roads - not a single vehicle passed and it was -30°C, so gave up. Also spent several weeks in the Fouta Djallon in Guinea, zero cars and few motorcycles passed, so ended up walking. Longest Ride (time): 13 days. Hitched on a train in DRC that was supposed to arrive in two days. 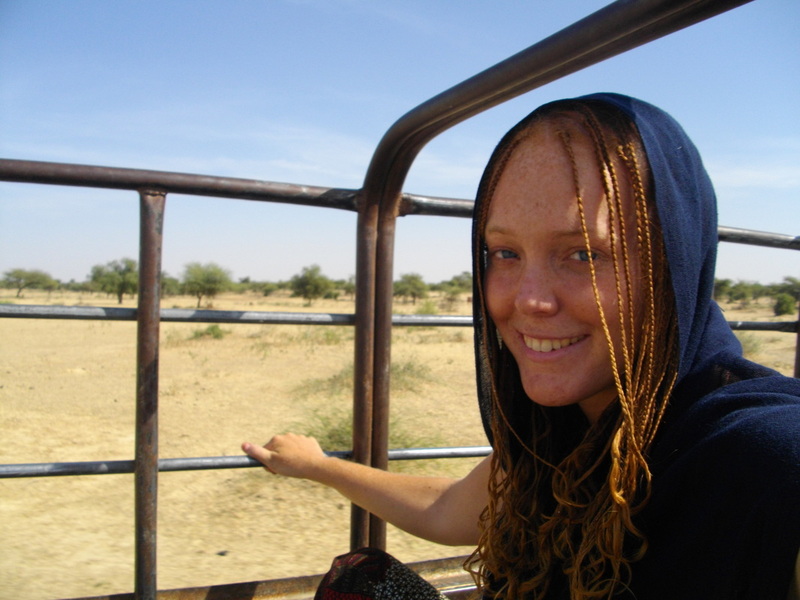 Most Interesting Rides: Either jumping into the famous Mauritanian iron ore train and ending up in the middle of the desert, or riding on the back of a motorcycle that's driver turned out to be a commander in the Ivory Coast rebel army.